Blue Ribbon Fugu, originally uploaded by Telzey. Haven't been feeling very creative lately due to a Christmas cold (Yuk!) -- but a Fugu sign shot by PAVDW on Flickr brought me 'round long enough to play. 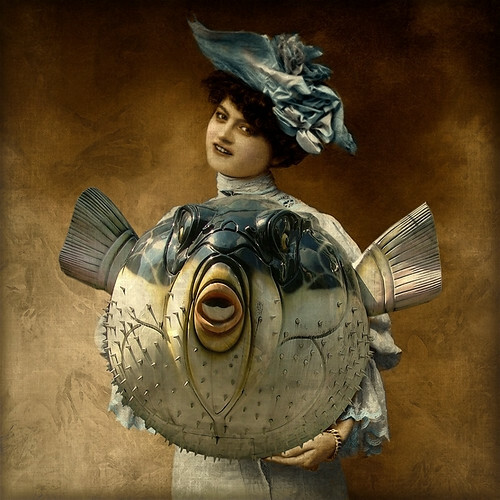 Here, Betty Anne proudly displays her award winning blowfish, Goliath. Only one texture was used on this, but I had a lot of fun hand-coloring the model for a vintage feel.